School´s out for this year and soon after I was in a car heading for my parents home in Uppsala. I arrived late at night and to my surprise (and delight) I had the much-awaited package from Guideline waiting for me in the living room. I quickly unwrapped the package and checked out my new gear. It felt like Christmas came early. Early the morning after I was out in the boat for an eager test run. 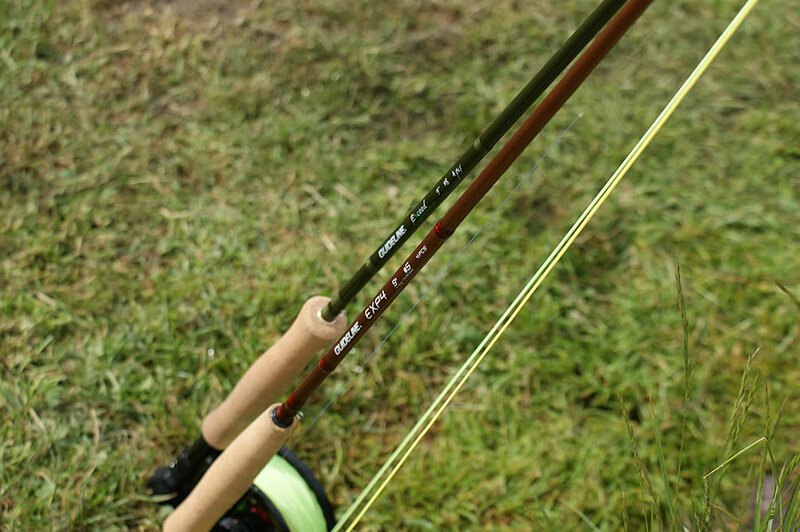 The package contained two rods, Exceed 9’ #8 and EXP4 9’ #5 both have really nice actions and a great finish. The reel is a Haze V2 and the breaking system has a powerful drag. Combined with the Exceed rod it will be the perfect tool for hunting big lake trout’s. For the wading I got the new Kispiox waders and jacket, the fabric on both have a nice quality feel to it and there are many smart details. The Exceed rod was matched up with a Switch WF Multi tip so that I can quickly change between floating and sink tips. On top of this some leaders, tippet material, backing and a very nice cap. I jsut want to say thanks to Guideline for helping me getting the best possible experience on my upcoming trip to Canada. I´m sure I will get a lot of experience and learn for real how it is to work at a professional fishing lodge. I especially look forward to start guiding the guests. And obviously that I will get some awesome fishing for myself, catching some big “lakers” and some of the beautiful graylings that are out there. On Monday I’m leaving Sweden for a 17+ hour flight, so next time you´ll hear from me I’m writing from Canada. Lets just hope all my new stuff gets there ok.